Reasoning that appears sound but is misleading or fallacious is known as sophistry. In Metaphysics, Aristotle defines sophistry as "wisdom in appearance only." From the Greek, "clever, wise." "Sophisms are intended paralogisms, meant to deceive. The term, which derives from the Greek word for wisdom, sophia, acquired its pejorative meaning from Socrates, who denounced the hypocrisy of the sages (or Sophists)—logicians who, he claimed, were both mercenary and pretentious. The truly wise know that wisdom, like truth, is an ideal to be sought constantly; they are therefore friends of wisdom (philo-sophers)." "The ads that [Karl] Rove still defends for Saxby Chambliss, who defeated the Georgia senator and Vietnam veteran Max Cleland in 2002... juxtaposed images of Cleland with images of Osama bin Laden. To justify his party’s tactics, Rove resorts to a sophistry: no slander was conveyed, he says, since many seconds of montage separated the images of bin Laden from the images of Cleland." Sophistry, Rhetoric, Logic, and Philosophy: "There is in sophistry a similarity to precisely what some praise as the value of symbolic logic: in knowing logic a person in principle knows everything, because there is nothing that can't be argued in it. Plato has the Visitor in the Sophist make the same observation: 'In fact, take expertise in disputation as a whole. Doesn't it seem like a capacity that's sufficient for carrying on controversies about absolutely everything?'... The difference between philosophy and sophistry on this point could perhaps be summed up by saying that, while sophistry represents an abstract universality, philosophy's universality is essentially concrete. Sophistry is indifferent to content, and this indifference prevents it from integrating what it knows into a well-ordered and meaningful whole... Sophistry can 'know' this or that, but it cannot see how these things hang together or how they fit into the cosmos, because to do so would require genuine knowledge of the good." 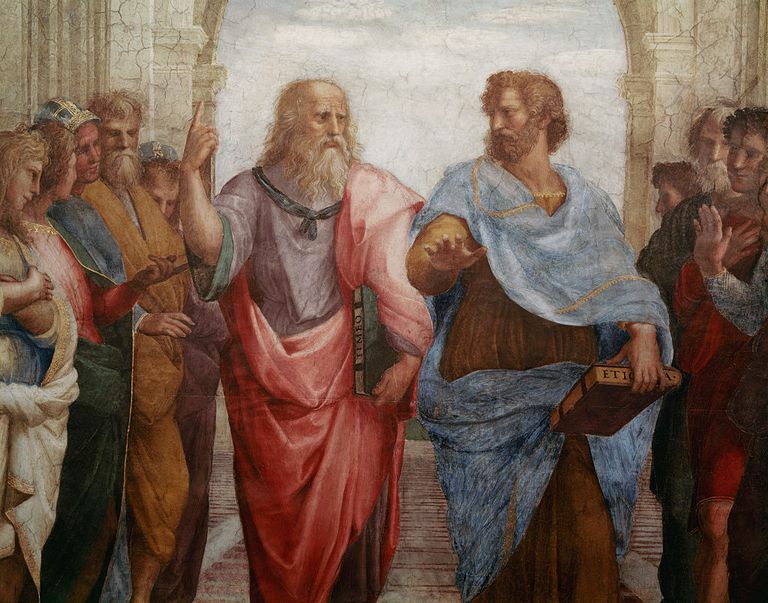 "With respect to the famous sophists of ancient Greece, the habit for over 2,000 years has been to follow Plato's suggestion that sophistry and rhetoric are inextricably 'mixed together' (Gorgias 465C4-5). When the sophists engaged in intellectual pursuits that we might be tempted to call philosophical, it was only with an eye toward captivating their audiences and hence capturing more students. In short, it was not 'real' philosophy at all but either a cheap knock-off designed to fool the unsuspecting or, occasionally, simply an accidental byproduct of rhetorical pursuits." Metaphors for Sophistry: "Sophistry, like poison, is at once detected, and nauseated, when presented to us in a concentrated form; but a fallacy which, when stated barely in a few sentences, would not deceive a child, may deceive half the world if diluted in a quarto volume." Sin's rotten trunk, concealing its defects." Walter Lippmann on Free Speech and Sophistry: "If there is a dividing line between liberty and license, it is where freedom of speech is no longer respected as a procedure of the truth and becomes the unrestricted right to exploit the ignorance and to incite the passions of the people. Then freedom is such a hullabaloo of sophistry, propaganda, special pleading, lobbying, and salesmanship that it is difficult to remember why freedom of speech is worth the pain and trouble of defending it... It is sophistry to pretend that in a free country a man has some sort of inalienable or constitutional right to deceive his fellow man. There is no more right to deceive than there is a right to swindle, to cheat, or to pick pockets." Playfulness in Sophistry: "[A] recurrent feature of sophistic rhetoric is a love of paradox and of playing with words and ideas... Some of the playful element in sophistry derives from an effort to teach rhetorical methods by using subjects that will interest students to whom more serious subjects might seem tiresome. An effort to engage young minds in rhetorical exercises by unrealistic but exciting themes is also a feature of declamation as it developed in the Hellenistic and Roman periods. Playfulness in sophistry also sometimes reflects a disillusion with a seemingly self-righteous and complacent religious or political establishment that refuses to question traditional values and practices."